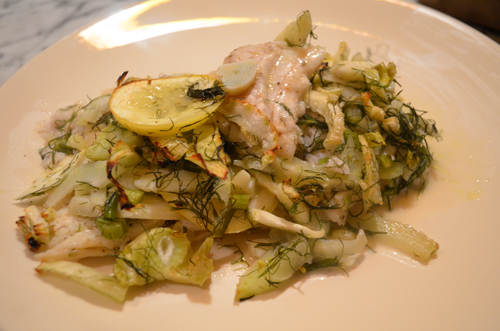 fish | eat. live. paleo. Good quality filets of salmon are very well priced and accessible here in Stockholm. 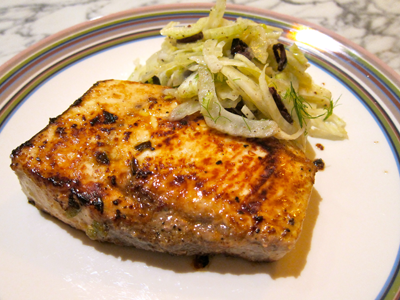 We picked up a big piece of salmon the other night from our local supermarket for dinner. 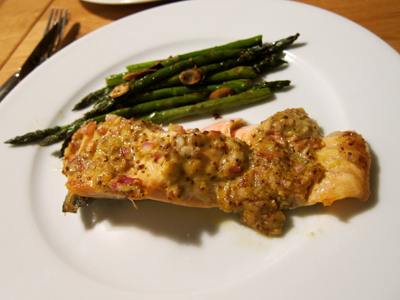 One of my favorite, simple ways of cooking a big piece of salmon is by oven-roasting it in a mustard, garlic and lemon coating. 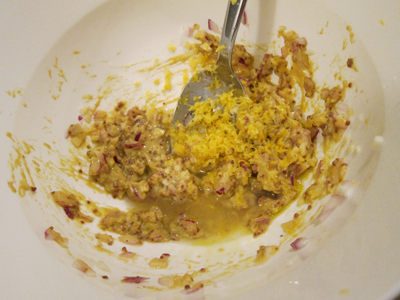 For the mustard mixture, finely mince a red onion (small) and 3 garlic cloves, and put them in a small bowl. 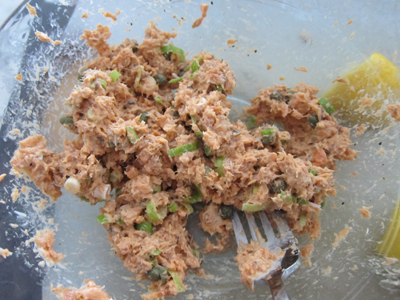 Add about 1.5 tablespoons of Dijon mustard and also about 1.5 tablespoons of whole grain mustard; add about a tsp of salt, and mix. 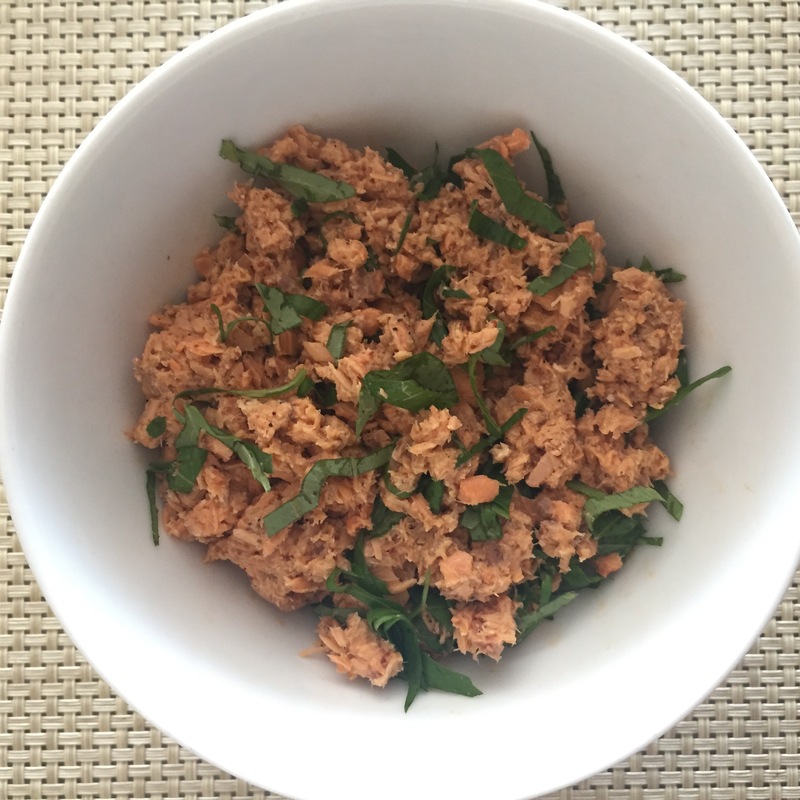 I originally made this recipe without the red onions, but I thought it might add some flavor/crunch, and it seemed kind of Swedish-inspired (?). Next, zest the rind of a 1/2 lemon into the mustard mixture, then add the juice of 1/2 lemon. 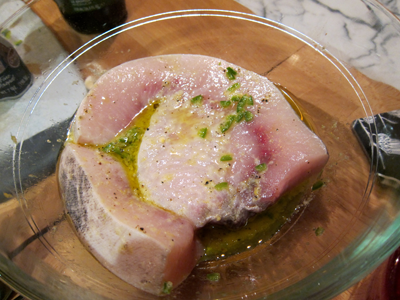 Add about 2 tablespoons of olive oil, and mix. 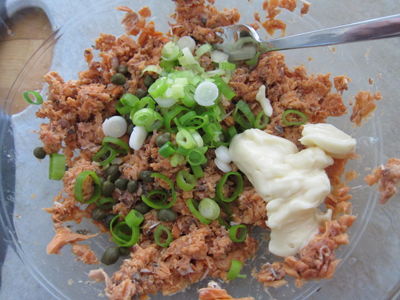 The consistency of the mustard mixture should be on the thick side, so that it sticks to the salmon. If it seems too wet, you could add more mustard. It’s good to taste it and adjust the seasoning. 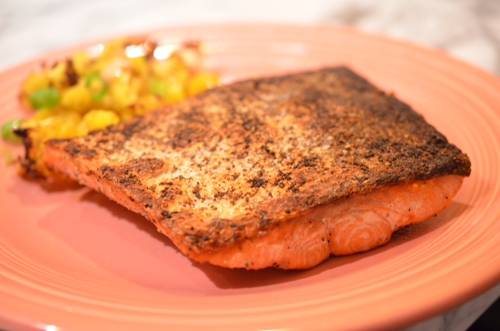 Put the salmon, skin-side down, in a roasting pan or dish. 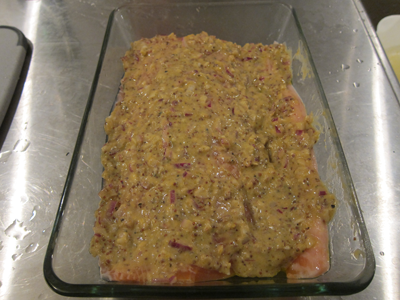 Coat the salmon with the mustard mixture. 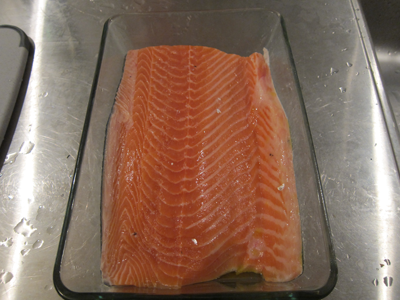 Cover with cling wrap and let the salmon marinate in the fridge for about 15-20 minutes. 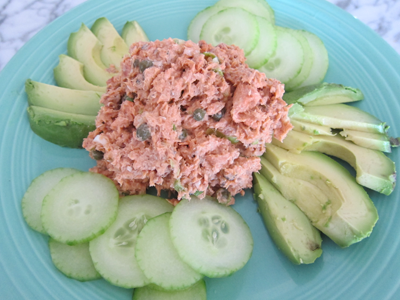 While you have the salmon in the fridge, preheat the oven. Our oven in Stockholm is tiny and not particularly powerful, so I set ours to broil. 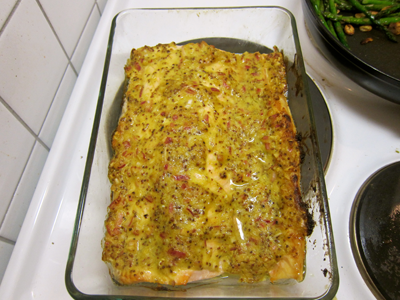 At home in Brooklyn, I generally preheat the oven at 500 F. After letting the salmon marinate for about 15-20 minutes (as above), take it out of the fridge, take off the cover, and put the dish in the oven. Roast for about 15 minutes to medium rare, a little longer for medium.